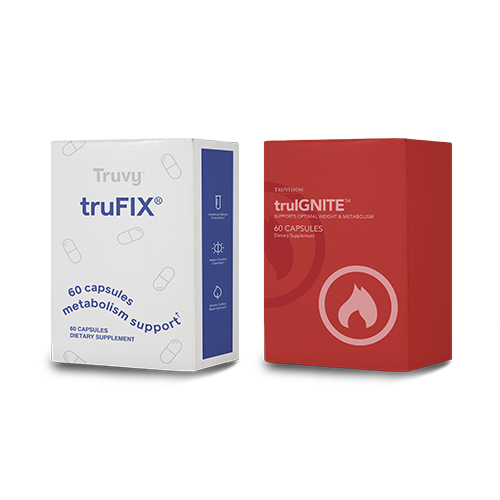 One 7-day trial of truFIX™ & truIGNITE™. Other Ingredients: Gelatin Capsule, Cellulose, Silicon Dioxide, Stearic Acid, Capsule Colorants (Titanium Dioxide, FD&C Blue #1, Erythrosine). 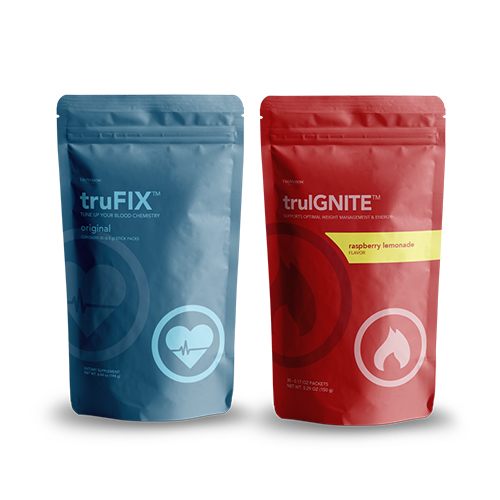 Other Ingredients: Natural Flavors, Xylitol, Malic Acid, Gum Arabic, Citric Acid, Elderberry Juice (Color), Stevia Leaf Extract, Sucralose, Silica. Other Ingredients: Vegetarian Capsule (HPMC), Organic Rice Fiber.